The adopted daughter of Debonair, Nova is an unstable girl who often switches from affections to death threats in the blink of an eye. It is later revealed that she is actually a shadow of Shidou Hikaru’s heart, being her alternate ego; opposite in every way. As much as Hikaru is willing to die for her loved ones, Nova wishes to kill them all. Similarly, Hikaru hates herself for what she has done in Cephiro, making Nova love her very much. Nova is an anime-only villainess created, not by CLAMP, but by Hirano Toshihiro. Her character design was made for a different anime which was never realized or produced. I miss Magic Knight Rayearth. I hope there’s still a DVD of this somewhere. I never did get to see the ending of the 2nd season. Having missed the GX-Con, I went about looking for my own stash of photos from previous conventions. Back in 2005, I went to the Games and Gadgets Convention also known as the G2Con expecting to find the latest… well… Games and Gadgets! Too bad for me, there was hardly anything in that convention that I haven’t already seen i the local market place. 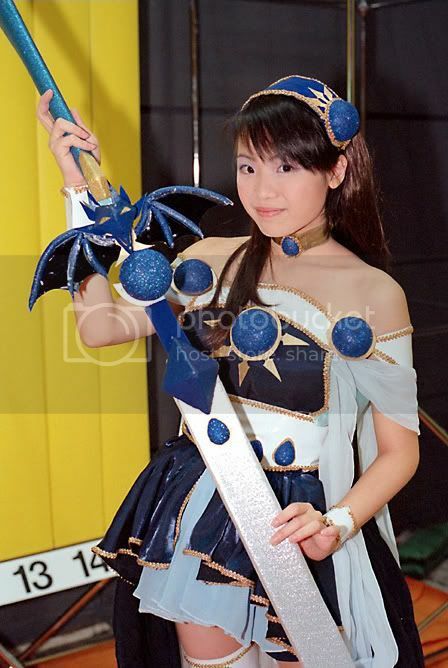 Why do they name it a Games and Gadgets Convention when the main event was cosplay; I have no idea. Anyway, it wasn’t a total lost, since there were some pretty impressive cosplayers at the even! This is a picture of one of the semi-finalists. I love the effect the smoke screen added to this picture! It fits Zagato really well! I miss the days when I was able to go to conventions and snap photos on my own… Perhaps it’s time to go to another event! You are currently browsing the archives for the Magic Knight Rayearth category.